The right tires not only help contribute to your vehicle's handling and performance, but can also impact fuel efficiency and safety as well. If your tires are showing signs of wear, you can get exact replacements for the original tires at a competitive price at Hoover Toyota Service Center. Our factory trained and certified Toyota technicians will ensure that your tires are mounted, balanced and inflated to match your Toyota vehicle's specifications. Keep your Toyota a Toyota by replacing your original tires at Hoover Toyota Service Center conveniently located in Hoover. 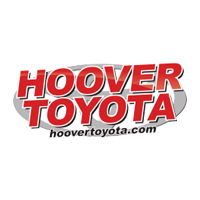 Get an A/C Diagnosis in Hoover, AL, from a qualified technician for only $99.95 at Hoover Toyota, also serving Birmingham! *Tax, shop supplies and hazardous waste fees (if applicable) are not included and are an additional charge. Coupon not valid with any other offer. Must present coupon at time of purchase. Limit one coupon per person. Coupon does not apply to prior purchase. Other restrictions may apply. Void where prohibited. Hoover Toyota will have a qualified mechanic check your engine lights in Hoover, AL, for the special price of only $49.95! Get your tires balanced in Hoover, AL at Hoover Toyota, also serving Birmingham, for only $69.95!